Hello and happy Friday! Today I want to tell you about my new hair care routine that I have been loving! 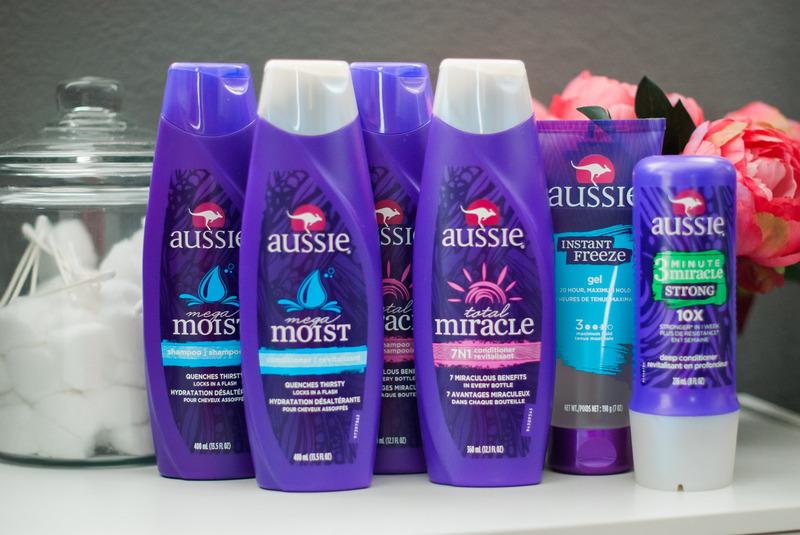 Aussie Moist and Aussie Total Miracle 7N1 Shampoo and Conditioner are my new holy grail!! They have made my hair so much softer and easier to brush out. I also tried the 3 Minute Miracle Strong Conditioning Treatment and have been using it once a week. It has helped a ton with my dry scalp and is going to help get me through the dry cold winter. All of the Aussie products have some major benefits. The Aussie 3 Minute Miracle Strong Conditioning Treatment makes hair 10x stronger against damage vs. non-conditioning shampoo and lengthens the life of your locks by helping reduce damage. As a girl constantly using heat, I can definitely use the extra help reducing the damage to my hair. The Aussie Moist Shampoo leaves hair clean, fresh and ready to be styled and gives you moisturizing power while strengthening your hair. I seriously love the smell of this shampoo. My favorite part? All of these items are UNDER $5 and they can be delivered right to your front door from Amazon. It really doesn’t get much easier than that! Ditch the drama with Aussie.